The 4th of July always motivates an outpouring of patriotism … and an annual display of American flags unmatched at any other time of the year. 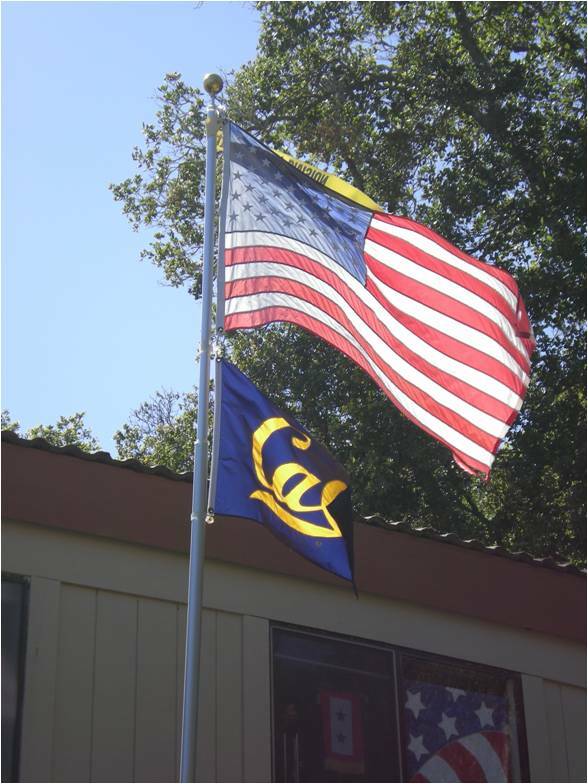 There is, however, no need for me to unfurl a special flag for Independence Day … because mine flies every day on a flag-pole at the corner of my home. 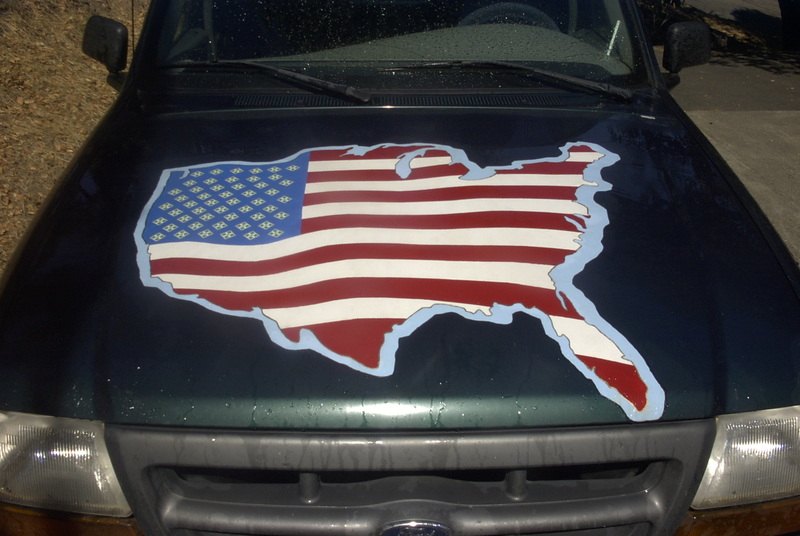 And on the hood of my truck … with a smaller version of the same flag decal on the tail gate. … and a “Proud to be American” flag-themed banner in the window of my office. 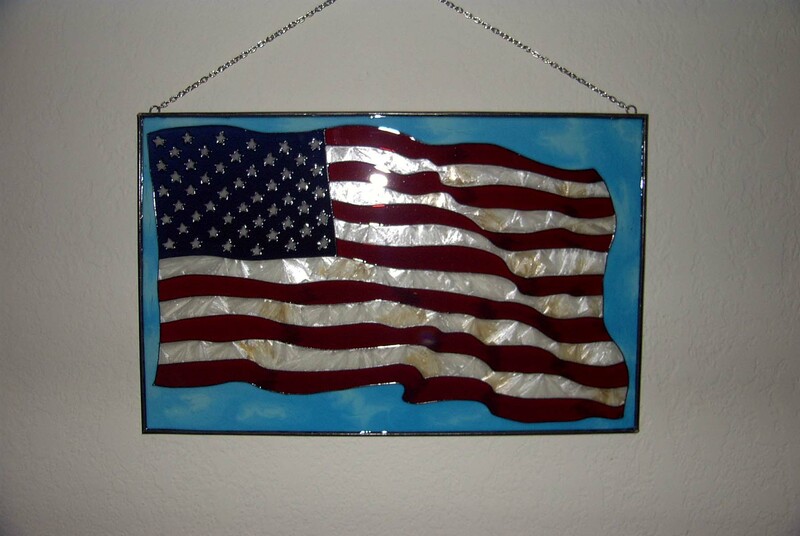 I bow no one in my love of our country and my reverence for our flag. 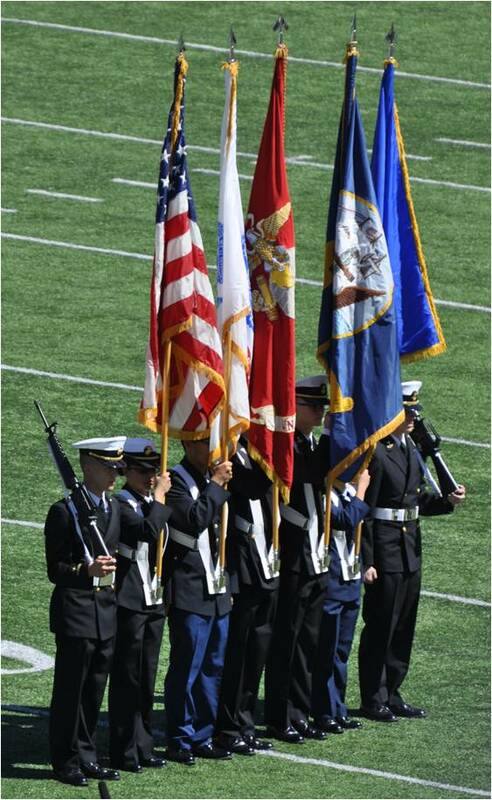 I stand at attention and, as a military veteran, salute during the playing of the National Anthem at Cal football games. 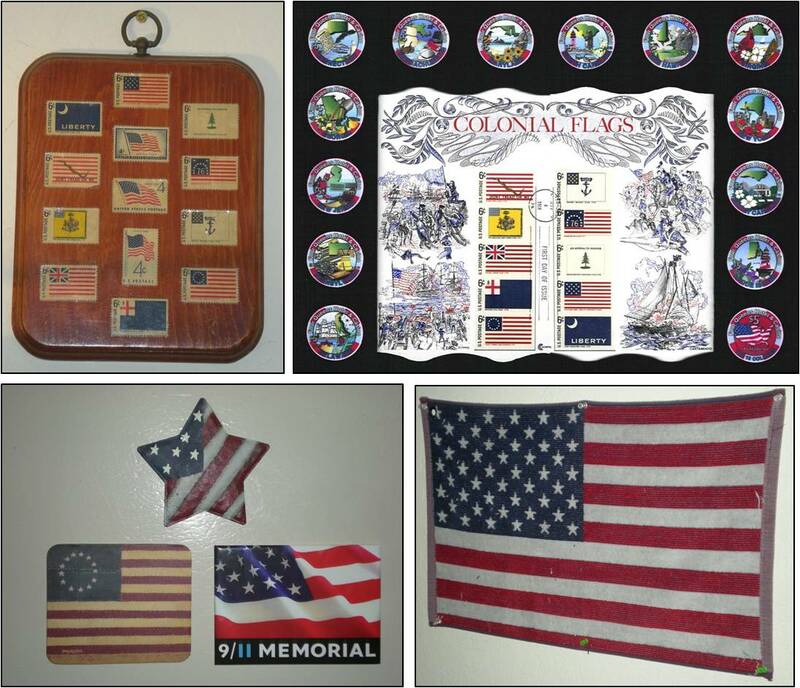 Besides those on display, I have many other American flag stamps and first day covers, challenge coins and casino chips in my collections of those items. 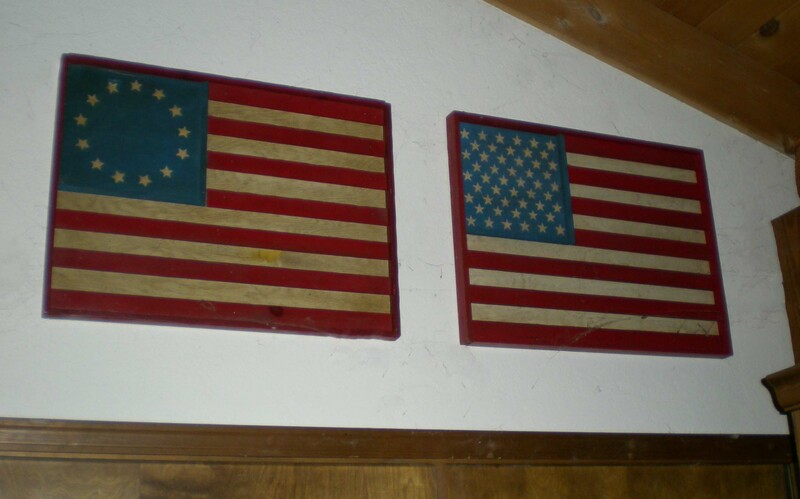 All of that said, I write today primarily not to discuss the American flag, but to follow up on my earlier posts on the flags of the Confederate States of America. 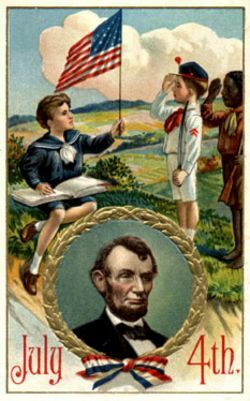 … have tried to mythologize the Civil War, claiming that the war was not about slavery. It was, at least as far as the government leaders of the seceding states were concerned. However, many, if not most, of the soldiers in the Confederate Army fought for the South not to preserve slavery, but for the same reason that many colonists fought in the Continental Army during the American Revolution. That is, they acted out of loyalty to their local communities and states at a time when our national identity was not as well-developed and pervasive as it is today. Despite being poorly fed and equipped … and often poorly led … Confederate soldiers fought as gallantly as had the soldiers of any army to that point in history. Very few of these soldiers considered themselves “traitors”; nor do I. … and Joseph E. Johnston, disliked slavery and supported some form of emancipation. Lee, who owned slaves through inheritance, freed them before the war ended. The majority of Confederate generals had never owned slaves; few common soldiers ever had. Even Confederate President Jefferson Davis had come to believe that slavery should be ended, even if the South won the war. 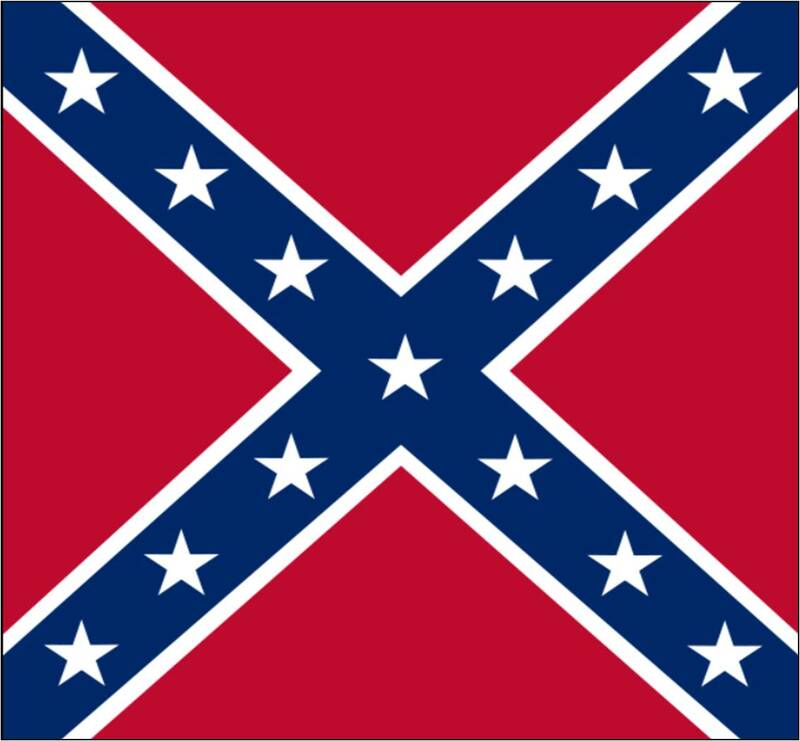 … top to bottom, they are the three national flags of the confederacy, the “Bonnie Blue” flag (more on this one below), the Rebel battle flag and the battle flags of Robert E. Lee and Stonewall Jackson. 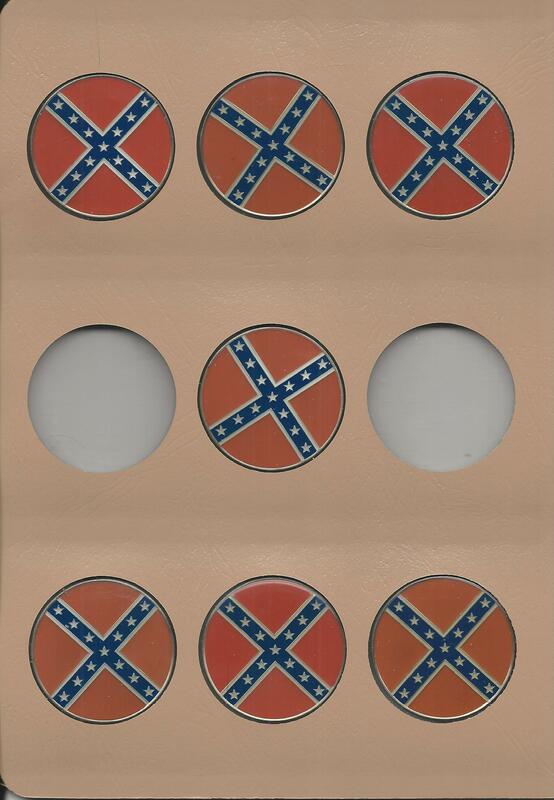 The reverse of each features the Rebel battle flag. I like these coins; they are colorful and interesting symbols of one of the most important events in American history — in fact, second only to the American Revolution. The Bonnie Blue flag was originally the flag of the Republic of West Florida for about 90 days in 1810 (until the U.S. annexed the territory). A close variation of the Bonnie Blue flag was adopted by the state of Mississippi when it seceded from the Union in January 1861. This flag was used as an unofficial Confederate flag during the early months of 1861 and, in fact, was flying above the Confederate batteries that fired Fort Sumter to start the Civil War. Union General Ulysses S. Grant, known by the nickname “Unconditional Surrender” Grant, nevertheless, in accepting the surrender of Robert E. Lee’s Army of Northern Virginia at Appomattox on April 9, 1865, declined to relieve Lee of his sword (a traditional gesture of surrender). 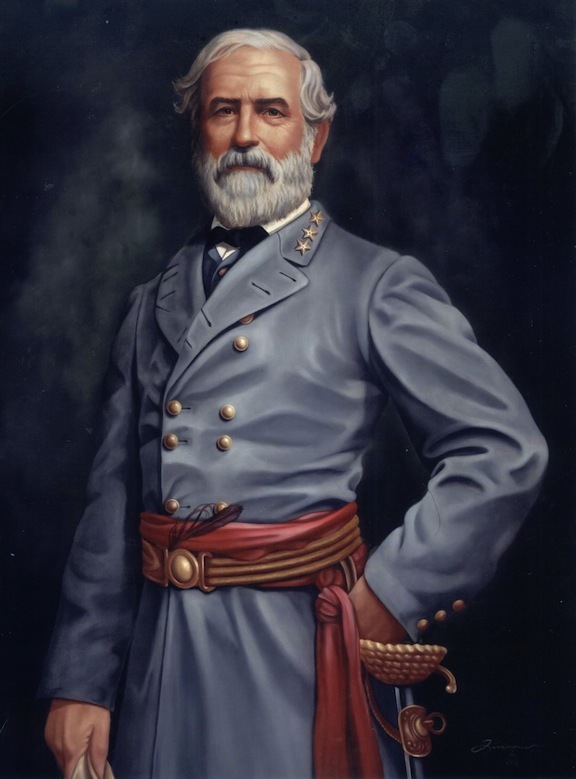 Then, as Lee rode away to inform his men of the surrender, Grant saluted him by raising his hat, in which gesture of respect the other Union officers present joined. The United States fought two wars against the British — one to gain independence, the other to preserve it. The British are now our most staunch allies in the entire world. We twice fought the Germans in world wars; they are now friends, economic trading partners and hosts of a number of permanent American military installations. We fought the Japanese during World War II; they are now one of our greatest allies in Eastern Asia. We also fought the Italians during WWII; they are now friends and their country is one of the favorite places for Americans to visit. We fought other wars with Mexico, Spain & the Philippines; they are all now friends and economic partners. It strikes me as strange that we have been able to reconcile with each of these foreign nations after engaging in what were often vicious & brutal wars, but we somehow have never been able to fully reconcile the two halves of our own country. The Civil War Confederate flags are an integral part of American history. And while I agree that the Rebel battle flag ought not to be displayed on government property, I see neither logical nor emotional reason to attempt to banish it entirely from our national consciousness. Nor do I think it appropriate at this late date to be removing from public display monuments, statues or other remembrances of those who served on behalf of the Confederacy. 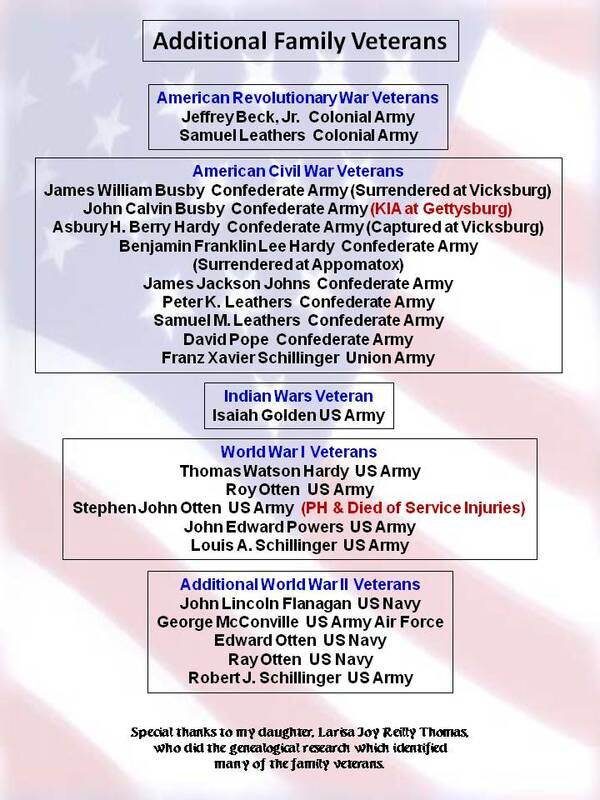 I certainly have no intention of removing from my family veterans display the names of the Douglas family members who fought for the Confederacy. 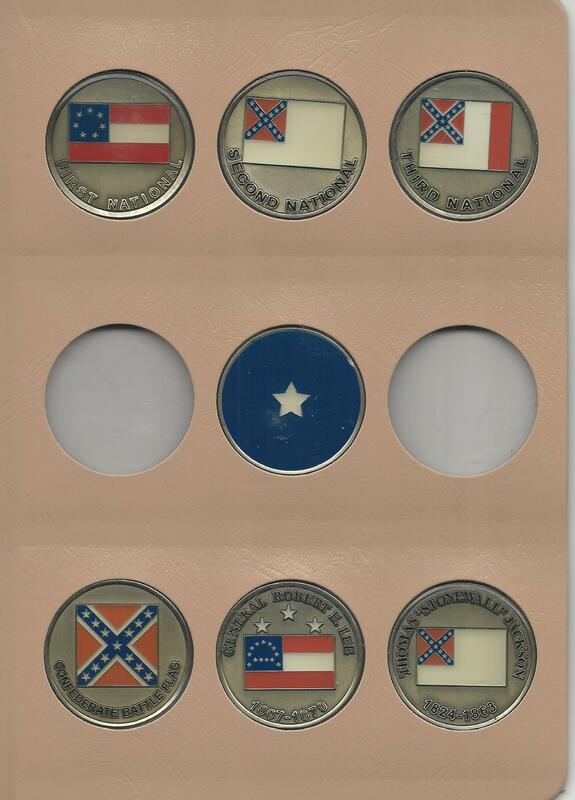 Nor will I remove from my collection of challenge coins those depicting the various Confederate flags. 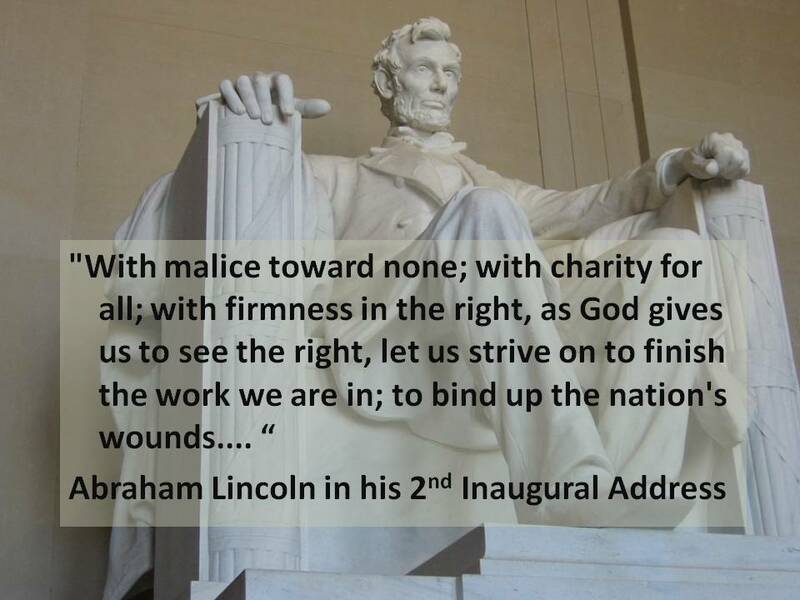 These, of course, are personal decisions … and rather insignificant in the big scheme of things, but it seems to me that there is no way I — or anyone else — can improve on the sentiment expressed by Lincoln and we would all be better off if everyone in the United States today lived up to those words, “with malice toward none, with charity for all”.